**All hardware mounting parts are included with the purchase of a S-ONE Handguard. The ATLAS S-ONE Handguards are designed to match seamlessly with the custom designed top rail of the Aero Precision AR15 Gen 2 Upper. 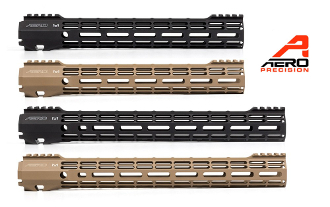 Please note: The ATLAS S-ONE Handguards are NOT compatible with the Aero Precision M4E1 Upper Receiver.